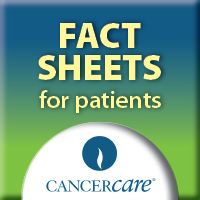 Each year in the United States, more than 21,000 people are diagnosed with multiple myeloma. The average age of diagnosis is 70. If you are one of these 21,000 people, you may at times feel anxious, sad, or uncertain about your diagnosis. Multiple myeloma can be overwhelming at first, but learning how to manage your cancer, as well as learning about available support, can help provide relief. Understand your diagnosis. Multiple myeloma is a cancer of the plasma cells—a type of white blood cell found in the bone marrow. These cells make antibodies that help protect us from infection. People with early-stage multiple myeloma may have no symptoms and only need close monitoringby their doctors. There are a wide range of treatments for multiple myeloma, including chemotherapy, targeted treatments, stem cell transplants, bisphosphonates, and steroids. If treatment is necessary, ask your health care team to recommend reliable publications and websites to learn more. Knowingwhat to expect can help you feel more in control. Communicate openly with your treatment team. Because multiple myeloma is a complex disease with complex treatment options, good communication between you and your health care team is key. To get the best possible care and support, do not hesitate to ask questions or bring up any concerns. Find at least one person on your team that you feel comfortable talking with who can serve as your advocate. Find help to manage your symptoms. Common symptoms of multiple myeloma include bone loss, pain, kidney problems, high levels of calcium in the blood, and anemia-related fatigue. Treating the cancer often reduces these symptoms, but there are also things you can do on your own to support your health. For example, light exercise helps maintain bone strength and fight fatigue, and staying hydrated helps with kidney function. Ask your oncologist for other suggestions. Visit thewebsite of the Bone and Cancer Foundation (www.boneandcancerfoundation.org) for more tips on caring for your bones when you have multiple myeloma. Report any side effects. Combination treatments using the drugs thalidomide (Thalomid), lenalidomide (Revlimid) and bortezomib (Velcade) have been proven to be effective in treating multiple myeloma. However, these newer treatments can cause side effects like blood clots, low blood cell counts, and peripheral neuropathy (tingling sensations, weakness, or numbness, typically in the hands and feet). Tell your oncologist if you experience any side effects so that they can be treated as soon as possible. The onset of a fever should be taken seriously, as it may be a sign of an infection. Learn to relax your mind and body. Techniques such as deep-breathing, progressive muscle relaxation and meditation can calm your mind, reduce stress, and help maintain inner peace. Some treatment centers have programs to teach people the basics of relaxation or meditation. Your nurse or oncology social worker may be familiar with these practices, or be able to refer you to others who can help you learn these techniques.